No expense was spared in realising the dream to create this shining symbol of the city. 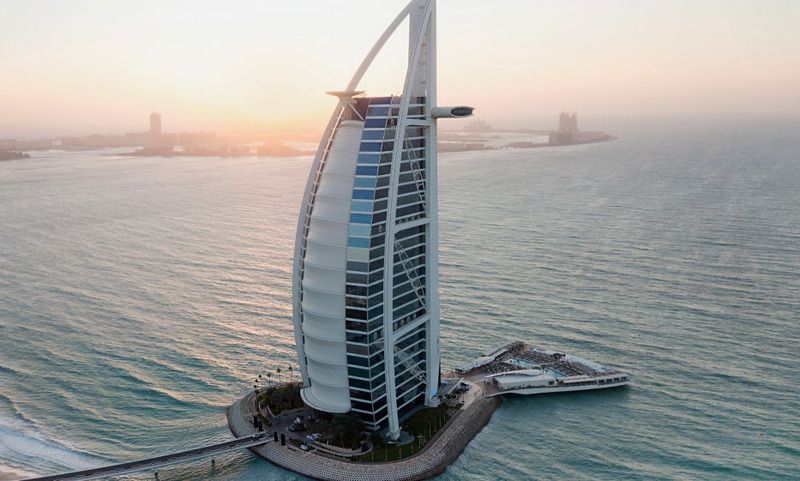 The distinctive sail-shaped silhouette of Burj Al Arab is more than just a stunning hotel. A real architectural feat, the hotel and its brand new terrace hosting a 612 sq.m pool is an experience as such. Al Mahara's restaurant stunning floor to ceiling aquarium brings a unique atmosphere and stimulate all your senses. A suite-only duplex accommodation with beautiful views of the Arabian Gulf.